One thing I find annoying is people who refuse to do their jobs. Let’s be honest, how many excuses can somebody give for why they can’t do a particular job? I’ve lost count. 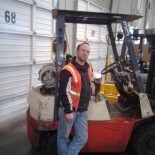 As somebody who can pretty much do almost any job at the warehouse I work, I am often befuddled and angered when I hear an excuse about why somebody can’t go receive, load, or chain down a flatbed trailer. I am certain that some of my supervisors are also getting sick of these excuses too. In the Christian church, we also have a job to do. What? The church has work to do? How is that even possible? Yes, that is correct, the church has work to do, and we are the workers. I am not talking about the roles of pastor, elder, deacon, or trustee. Those roles are important, and I would never think to minimize them, or otherwise speak ill of those roles. However, there is another role, it is the role that Christ Jesus called us all to do. Your job, as a Christian, is that of being his ambassador, a missionary. I hope that I didn’t just hear you hit the brakes in your car as you read that. Seriously, if I did, why are you driving and reading blog posts? Pull over. I hope I have your attention. You and I are both called forth as missionaries. Now, before you try to argue, bear in mind that the “mission field” is not necessarily in a foreign country or some other such thing. Yes, missionaries do travel to such places. However, the mission field is as close as your front yard. 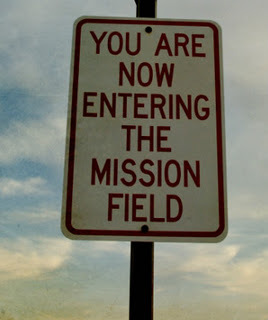 It is not a matter of going to the mission field, you are already there. It is a matter of getting to work. Just for the sake of my point, let us consider Matthew 28:19-20. Jesus tells his disciples “Go therefore and make disciples of all nations, baptizing them in the name of the Father and of the Son and of the Holy Spirit,teaching them to observe all that I have commanded you. And behold, I am with you always, to the end of the age.” This command, from Christ Jesus, is typically called “The Great Commision”. These words are the marching orders of the Church. Here is the question, and this matters. What are you doing to fulfill this command of our Lord? Truthfully, I don’t want to know your answer. It should be obvious that my blog (which you are reading) is part of my sharing my faith and fulfilling this command. I am also quite open, both online and in person, about my faith and share materials related to it as I am able. We all have a job to do. Matters little if we are supposed to load trailers, cook food, or any other job out there. However, as Christians, we are also supposed to tell the world of our Lord who lived, died upon the cross for our sins, and was raised up on the third, defeating sin and death. Whether in the secular or the sacred, we all have a job to. Now then, its time, Get to work! This entry was posted on 17/07/2014 by Christopher Rose in Uncategorized and tagged Christ Jesus, Christian, Gospel of Matthew, Great Commision, missionary, work.